Lately, I’ve heard from several parents with the same concern: they feel that they’ve “failed” at their goal of raising a bilingual child. Because this feeling is so common—and can be so counterproductive—I thought I might share my perspective on “failure.” If possible, I’d like to help rekindle hope. True, your child’s current ability in the minority language may not match your original hopes or expectations, but this isn’t “failure”—it’s simply the level of ability achieved to date. In other words, let’s properly put the stress where it belongs: on achievement. The fact is, you’ve already made substantial progress, I’m sure—maybe not progress that feels satisfying to the degree you’d like—but progress nonetheless. And whatever level of ability your child has achieved to this point can then be advanced as you move forward. Frankly, the only way you could truly claim that you’ve “failed” is if your child makes no progress at all, despite your continuous efforts, over the course of 18 years of childhood! In this light, is “failure” even possible? At the same time, there’s no shame in resetting your expectations, and your aim, if you find that you’re unable to do any more than you’ve already been doing. In fact, it’s the wise step when the alternative would be ongoing frustration over an unrealistic goal. Remember (as I mention in Warning to New Parents Who Dream of Raising a Bilingual Child): You must be mindful of the actual size of this challenge and make certain that your efforts match the scale of your dream. 3. “Failure” is positive, not negative. Of course, feelings of disappointment are natural at times like these—when reality doesn’t match expectation—but if the greater goal remains important to you, you must rise again and brush off the dust. You must go on, bravely, boldly, confident that the more efforts you make, and the more effective those efforts are, the more distance you’ll ultimately travel through the years of your bilingual quest. 4. 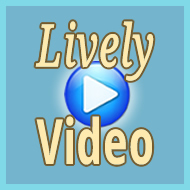 Passive ability is a significant achievement. Sometimes, though, the challenges involved in providing a child with sufficient exposure to the minority language, and a genuine need to use it—the two “core conditions” for active language ability—are simply beyond the capacity of the parent to meet. When this is the case, despite the disappointment, the parent should realize that even “passive ability” is a significant achievement. Although the child may not yet be ready to use the language actively, the more the parent can continue to expose the child to the minority language—thus persistently enriching the child’s passive knowledge—the more readily that passive knowledge can be activated in the future, when the time is right. Again, don’t let discouragement prevent you from seeing the bigger picture, the larger arc, of your child’s bilingual development. Whatever efforts you can continue to make will surely pay off over the course of your longer journey. 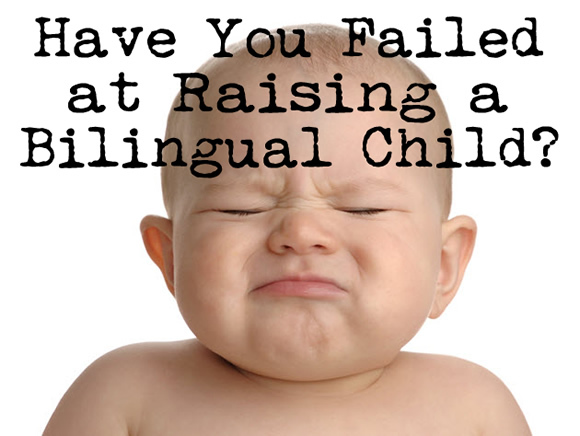 The truth is, the only way to really fail at raising a bilingual child is to give up entirely. (Or follow my “advice” in the satirical post How to Fail Miserably at Raising a Bilingual Child.) If you give up, yes, I’m afraid you’ll fail. But if you don’t give up, if you go on and persevere, day after day, year after year, progress is guaranteed. How could it be otherwise? P.S. Keep in mind, too, in those lower moments of your journey, that You Are Not Alone. How about you? What are your thoughts on “failure” when it comes to raising bilingual kids? Kelly, don’t be too hard on yourself. I don’t know where you live, exactly, but I suspect your circumstances are very challenging. If it’s difficult to foster active ability at this point, definitely continue nurturing their passive ability. As I stress, the more knowledge they finally have of the minority language, the more readily they can activate that ability at a later stage of their bilingual development. Great article Adam. I have copied some sentence in my diary so that I will not forget. Thanks. Raffaela, I’m glad this post spoke to you. Your post just came to me in perfect timing! When I was feeling little hope and struggling in talking to and teaching my child Chinese, your words just reminded me what “failure” truly is – only when I give up. Thanks for your words and encouragement. Priscilla, I’m really glad this post spoke to you and has given you some encouragement to go on, as best you can. Thanks for taking a moment to let me know. Thank you for this article! The timing could not have been better. I have been feeling like a failure raising my bilingual three years old boy for the last weeks. My friend and I have been raising our bilingual kids very similarly, using the same methods and being persistent and consequent. The only difference between our methods is that she “forced” her child to speak the minority language, for instance not willing to help him with things unless he would say it in the minority language. I disagree to force my child to speak my language on such terms, however the result is that her three year old has started speaking the minority language in sentences, while mine only understands and has a vocabulary to do that but won’t initiate the talking part. Since summer I have been trying to speed up his abilities but he simply says to me: now it’s enough! And yes I have been teaching him through playing with him, having constant contacts with my family and other children speaking minority language but it just doesn’t happen. I ask him to try to tell me sentences, he seems to be struggling to say it out loud and it ends by him simply repeating what I have said. Does it mean that he will never ever speak my language with me? Or should I try to neglect him contact with me unless he speaks the minority language since it apparently is working better? My sense, though, is that the basic problem involves the simple fact that your son doesn’t really feel an organic “need” to communicate with you in the minority language because he knows that you speak the majority language, too. Children, remember, tend to be very pragmatic about their use of language and if they can use their stronger language, they generally will, unless they feel a real need to communicate in the second language. So I suspect that your son has some good knowledge of the minority language in his head, but he isn’t using it actively because he doesn’t really need to—he can mostly rely on the majority language to communicate with the other people in his life. Imagine, though, if he was suddenly placed in a situation, like a minority language school, where he genuinely needed the minority language to communicate. I think you’d find that his passive ability in the minority language would be quickly activated. I recommend that you look closely at What to Do When Your Bilingual Child Won’t Speak Your Language and consider how you can address this lack of “need” because need and exposure are the two “core conditions” for fostering active ability in the minority language. Maria, stay patient and persistent, and keep a longer view of your son’s bilingual development firmly in mind. I’m cheering for you! Thank you, Adam! I think you are absolutely right and I will reread the articles you recommend. By the way, my son has just started at minority language school once a week and it gives some good results. Very important post! Learning is always a work in progress, and bilingualism can take a long time. It’s important to continue encouraging children and to have fun with languages! I completely agree. The tricky thing is, as parents of bilingual kids, we must keep one eye fixed on our short-term efforts, from day to day, and the other eye focused on their longer-term progress over time. I honestly don’t think that going full on bilingual with both languages always on the same level is for everyone. As I said in my other post, I have the perfect circumstances. But for some families who do not have such great circumstances, doing what you do is not feasible either. But I very much agree, the only way to fail is to give up completely. If all you can manage in your circumstances/family is to keep on doing what you’re doing even though you get few results, or straight up quitting – it’s better to keep doing what you’re doing. Having a foundation, however small, is always better than having nothing at all. Michelle, I agree with everything you said! Not every family will want to, or be able to, pursue this path as vigorously as I do, and that’s perfectly fine. My intent is only to support other parents in fulfilling the bilingual aims that are appropriate for them. How do you define bilingual vs. second language learner? I always thought that the bilingual person acquires 2 languages simultaneously in anatural way without the process of translation, just like babies learn. If you are going through with learning grammar and stuff, would it be second language learning? I feel that I’m a failure in raising bilingual children because my children didn’t get the language the natural way. It bothers me very much and I’m feeling so much guilt. But I’m hoping that it’s still not too late for my children to learn my language as a second language learner. Reina, there are many roads to the goal of bilingualism, and this aim can be achieved at any age, really. Some children acquire two languages simultaneously from birth, but most don’t. 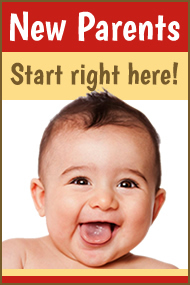 The majority of children develop their two languages sequentially: first one, then the other. I wouldn’t worry too much about labeling the process. 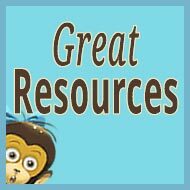 The important thing is to provide your children with as much exposure to the target language as you can, as well as a real need for them to use it actively. These are the core conditions for fostering progress. As long as you make the most effective efforts you can, day after day, and you don’t give up, your children’s ability in the target language will grow steadily over time. It’s really best to set aside your feelings of “failure,” which are counterproductive, and refocus on your daily efforts. As I stress in this post, “failure” isn’t even possible if you’re persistent. 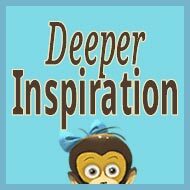 Reina, to help lift your spirits and empower your efforts, I suggest that you also make use of my eBook Instant Inspiration for Parents Raising Bilingual Kids. Even though my babies are practically new (3 months old) I sometimes feel like I haven’t been doing enough to build their minority language ability. As the only person in the family who speaks to the babies in the minority language, and when the minority language is my second language as well, it sometimes seems like I can’t possibly have an impact. Thanks for the reminder that my expectations and their progress are not the same thing, just sign posts on the road. Rob, that’s well put. The truth is, as long as you continue making consistent efforts to nurture the second language (and definitely make reading aloud each day the cornerstone of your efforts! ), you will see progress over time. The metaphor I share in this post, Important Thoughts on Babies and Hammers, might also be useful to hear in terms of faith and patience in the process of language acquisition. I tend to disagree with your article. I’ve heard many parents using similar arguments to yours. Parents who had all the elements to raise bilingual children but failed because different reasons such us: lack of discipline or consistent approach, persistence, providing media support, sticking to OPOL, etc. There is no half way on this. Children who “understand” two languages but can’t speak a second one, it is a failure from the parents. Dot. Ed, I think this depends on perspective. When children have developed some passive ability in the target language, but don’t yet use that language more actively, it’s far too premature to say that the parents have “failed” since children will continue to evolve throughout childhood and it’s certainly possible for that passive ability to become more active, given more conducive action, timing, and circumstances. I have seen this process play out in many, many families, with passive ability eventually becoming more active, so conflating short-term “failure” with long-term “failure”—and shutting the door too soon on potential progress over the whole length of childhood—is, to my mind, a false and unproductive choice. I see language acquisition as an organic, ever-evolving process of growth that lasts a lifetime, and that can always be bolstered by making stronger, more effective efforts, not an all-or-nothing proposition that’s permanently determined within the first few years of childhood. My child started to speak in 2 languages after I started to provide him opportunities to use those languages with other people who speak those. So, I believe the best method to make a child speak a language is giving him lots of exposure through other people too. Only a parent speak (specially) a minority language won’t work well. Sashee, I’m glad you and your son are making good progress. Yes, efforts to create opportunities for interaction with other speakers of the target language can be enormously helpful because this strengthens both exposure and need, the two “core conditions” for fostering active language ability. I’m an American and my wife is German and we are raising our 5 year old in Germany. I spend a lot of time with my child speaking and reading in English but my child has almost always refused to answer me in English as she knows I understand German. The only time she speaks English is when she wants something and she knows she won’t get it without asking in English but the English is always pretty bad. We go back to the states every year and make a point of going to playgrounds so she can mingle with the other kids but even there she just speaks German even though she knows the other kids don’t understand her. To make matters worse, her German grammar is behind her monolingual schoolmates. Is this normal? Thanks. Mack, without knowing the full details of the situation—particularly involving the two “core conditions” of language acquisition, exposure and need—I can’t really be concrete in my response. I understand your concern and, broadly speaking, I can tell you that young children develop on different timetables so this may be a perfectly “normal” timetable for your daughter. Unless there are developmental issues I’m not aware of, as she continues attending German schools, I expect her ability in German will grow strong and natural. When it comes to English, though, it sounds like those two “core conditions” of exposure and need must be addressed more proactively, day by day, in order to strengthen her progress and encourage her use of this language. Mack, you may find my forum, The Bilingual Zoo, a useful source of support toward this end, especially the Track Your Progress board. Hope to see you there! I have a 2.5 y.o child and we live in Canada. I speak Spanish and my husband only English. I have been speaking Spanish to my son since birth. To cultivate Spanish I decided to avoid the daycare setting and hire a full-time Spanish speaking nanny while I work. All our outdoor activities are 80% in Spanish. I only speak English when it’s about correcting a behaviour so my husband can understand the situations. He is an only child and will be always. I know that he needs the social part of his development as I can see that he needs to learn how to share and play / communicate with other peers. I am trying my best to find a daycare that is run in Spanish but no luck. There is pretty much no Spanish community here. I had to find my own Spanish speaking soccer and music instructors and a group of parents over Facebook pages. I have to say that I have done a pretty good job and my son uses Spanish first and English with his dad; he even speaks more Spanish to his dad than English. My question is what could happen if I enroll him in an English daycare and he starts to lose his Spanish. Many friends have the experience that their kids stopped speaking to them in their native language after they started school, and it happened super quick. I know I am pretty much avoiding the situation by keeping him in no daycare. I know that he has to go to daycare soon and get ready for kindergarten. I don’t want my son to be in kindergarten with very low English and struggling with their ABCs and instructions. Please, could you give suggestions on what to do before and after, putting my son in a daycare that is not my native language? What to do if he starts to speak in English to me instead of Spanish? How hard/firm can I be to a toddler about speaking my mother tongue? Muchas gracias!!! Kay, thank you for sharing your situation. I hope this response can be helpful to your concerns, and that my work can continue to lend support to your success. First, I’d like to applaud all the good efforts and progress that you’ve made to this point. Raising a bilingual child can be much more challenging than most people realize and you’re clearly giving your best to this aim, day by day, in order to nurture your son’s ability in Spanish. Good for you, Kay! Now, about his English and how the start of schooling could impact his use of Spanish. If kindergarten begins at around age 5, I would recommend waiting to enter him into an English daycare setting until just prior to that: 6 months before or maybe a year. 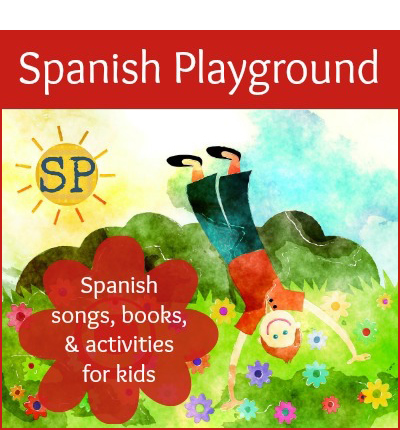 The longer you can maintain your use of a Spanish-speaking nanny, as well as your other Spanish efforts, the firmer his foundation in Spanish will be and the more likely this pattern of using Spanish for your communication will continue beyond these early years. I understand your concerns about his development in English, as well as his opportunity to socialize with other children, but since his father speaks English—which means that this development is already proceeding—and entering a daycare setting a bit later will still give him plenty of time to socialize with other children prior to kindergarten, I think continuing to place a higher priority on his Spanish, for now, would be a more effective choice for long-term success. 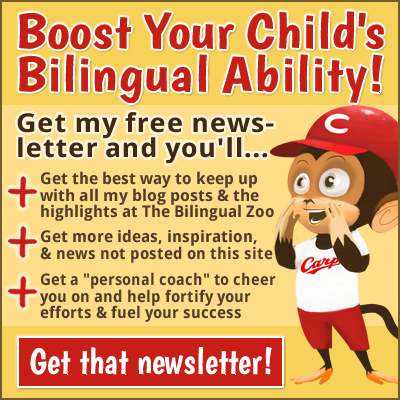 In other words, the more you can emphasize Spanish during these early formative years, the more likely you’ll be able to “condition” him to continue using Spanish actively with you after his schooling in English begins, and the greater the odds that you will experience satisfying bilingual success throughout the childhood years. Because schooling in the majority language is such an important topic, I’ve written about it extensively at this site, and in my book, and I encourage you to see this post as well as the links below it. As for what might happen later, after your son begins his schooling in English, it’s really best to address the actual circumstances as they arise—and my forum, The Bilingual Zoo, is designed to do just that so feel free to join me and hundreds of other parents there, anytime. But really, the best way to avoid larger difficulties with the use of the target language, after schooling starts, is to prevent them from arising in the first place through “preventive medicine”, by being as mindful and proactive as possible so that the minority language is given strong support during its early development. Keep going, Kay! You’re doing really well, and I expect you’ll continue to experience a lot of success over the months and years ahead. 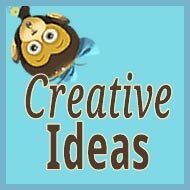 I am reading your book and blog and I find the ideas very useful. Thank you! My husband and I are both Bulgarian living in U.S. and our daughter is 2 years and 4 months old. We have been speaking to her 100% Bulgarian until now as our parents were rotating to take care of her. She started English daycare part-time 2 months ago and now we need to take her full-time as our parents can no longer take care of her for different reasons. She speaks great Bulgarian for her age with full sentences and she knows many of her books almost by heart. However, I am really afraid she will switch to English as she is already trying to say some words/songs at home. I almost feel like it will become a losing battle for us as we both work much. Moreover, all our Bulgarian friends are telling us that their experiences are she will end up just understanding it and not speaking it. Do you think our great progress up to date will be lost if we continue speaking/reading to her in Bulgarian at home? We go out with friends/other children which are mostly American and I am afraid this will hinder her Bulgarian abilities but I don’t want to isolate her as she is a very outgoing child. How can we make sure she doesn’t lose Bulgarian? Elena, hello! 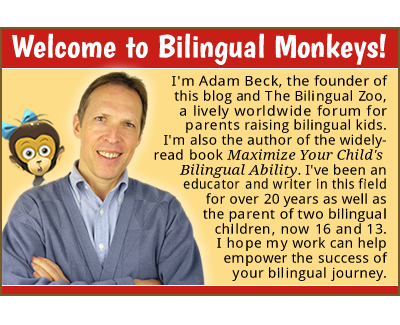 I hope my work can continue to lend helpful support to your successful bilingual journey. First, let me loudly applaud all the good efforts that you and your family have made up to this point. What you’ve already accomplished—fostering a strong and active foundation in the minority language—is a highly significant achievement and this foundation can now be built upon for continuing progress, despite the changing circumstances. At the same time, I understand your concerns, which are valid. I’ve written extensively about the “dangers” of the transition to schooling in the majority language (see Principle 25 in my book) and the need for parents to stay very mindful and proactive once this transition occurs. Elena, while we can’t exactly predict what will happen in your daughter’s case, it seems to me that the key to sustaining her active use of the minority language will be to firmly maintain Bulgarian—and only Bulgarian—as the language you use at home. Of course, you’ll have to bend this policy a bit when she gets older, and support is needed for homework from school, but especially during these early, formative years, the more you can establish Bulgarian as the family language, and enrich your home with Bulgarian books and other resources—while limiting the encroachment of English into this environment—the more you’ll raise the odds of “conditioning” her to continue using Bulgarian with you, even as her English ability grows. In other words, you create a norm for her where English is her language for other people but Bulgarian is her language for you. This is definitely doable, but as I mentioned, you and your husband will need to continue being as mindful and proactive as possible over the next few years. 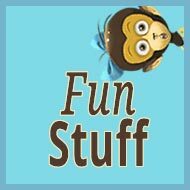 Toward that end, I encourage you to become a member of my forum (it’s free), which serves as an ongoing place of support for many, many parents. In fact, although the circumstances are different, your goal of limiting the influence of the majority language at home reminds me of one of our most active members, Amy, who has chronicled her experience in this thread and in this guest post. Elena, don’t hesitate to reach out to me again, anytime, through my blog or forum, if I can be of further support to your success. I send my best bilingual wishes to you and your family, from Japan to the U.S.! My biggest concern is what to do once she tries to use English words/sentences at home (and I know this is coming). Some of my friends said forcing them to ask their questions in the minority language works long term while others say kids start rebelling against it later on. At the same time, I can’t let her speak English because this will become the norm…what is your experience? Is there a way to completely avoid this problem from occurring? Elena, the outcome of any bilingual journey (like the outcome of parenting itself) can’t be completely controlled, but it’s certainly possible to strengthen the odds of success by taking effective action. 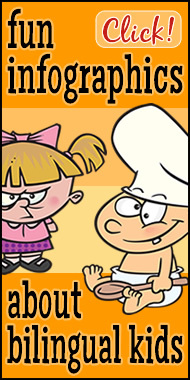 In your case, the more you can firmly (but patiently) maintain the “rule” that Bulgarian is the home language, provide her with ample exposure to this language from you and your husband and others, and visit Bulgaria as regularly as possible, the more you’ll raise the odds of success and minimize the potential problems you mention. If such problems do arise, they will need to be addressed in ways that are specific to the child and circumstances at that time. The post 7 Steps to Get Your Bilingual Child Using the Minority Language More Actively offers a variety of ideas for responding to a child’s use of the “wrong” language. I think it’s also important to stress that difficulties aren’t a sign of “failure.” They’re simply part of the journey and every family experiences difficulties throughout this quest; they can’t be avoided entirely. But as I suggest in my book (see Perspective 13: Practice “Preventive Medicine”), what we can do is be very mindful of the future and make proactive efforts, from early on, to prevent or reduce these difficulties so that our challenges will be fewer and smaller. So, no matter the difficulties that lie ahead, whether large or small (but hopefully on the smaller side! ), you and your husband can surely address them, and overcome them, with steady patience and perseverance—much like the members of The Bilingual Zoo. Elena, keep moving forward with your best efforts and I expect you’ll continue to experience a lot of good progress over the months and years ahead! Let me know what happens! I’m honestly starting to feel desperate. I’m French living in the US, my wife is from US. She speaks and understands French but isn’t fully fluent. We speak English between us and in front of our daughter. My daughter is 2.5 years old and I have been speaking French to her since she was born. Unfortunately I work full time so during the week it’s always English with my wife, mother-in-law, and daycare. The little amount of TV she watches is split between English and French. At first she would speak both languages equally and at least respond to me in French but lately English is taking over, I’m trying to ask her to respond to me in French but she sometimes struggles and I feel that I’m putting pressure on her and also breaking up the play flow when she wants to play with me. So lately she speaks English to me and me French to her, she does understands everything that I’m saying. It’s the same when my parents visit or when we go visit my family in France, everyone speaks French to her but she responds in English. I don’t want to turn it into a stigma or make her uncomfortable to also have to speak French when we are with other US people or on play dates in public place or other people’s homes. So I’m kind of bummed and trying to adjust my expectations because it feels like an insurmountable challenge to get her to be fully fluent in French when 90% of the times it’s all English. Anyone else in a similar situation? What did you do? Did your kids ended up speaking the minority language later in life? I won’t give up speaking French to her and I will keep trying as much as I can to make her repeat so to practice, but I’m starting to tell myself she’ll be a passive French speaker and that, who knows, maybe later in life she’ll find a valuable need to speak it and will then. We also expecting a little boy in a few months and I get even more depressed at the idea that my daughter will be speaking to him in English so it will be even harder to get him fluent in French. How hard is it for someone who understands fully another language to actually start speaking it? Guillaume, I feel your frustration and I hope my response will be helpful to you. Above all, my best advice is this: Considering the difficulty of your circumstances, you can’t succeed to the degree you’d like if you continue this quest alone. But the fact that your wife has some ability in French means that you don’t have to, as long as she’s willing to provide more active support. 1. First, you start using French with your children and your wife, at all times. If you continue to use English as liberally and openly as it sounds like you’re doing, your children will feel no real need to speak French with you. For the time being, your wife can continue to respond to you in English, but this increased input in French from you will help strengthen both your children’s and your wife’s language development. 2. Then, as soon as it might be possible, your wife begins to use French more actively, too. For example, you could work toward the situation where she uses English with the children when she’s alone with them but then she switches to actively using French when the whole family is together. At the same time, she could also help fortify the children’s exposure to French by using French with them when alone, too, to some extent, by reading aloud to them in French, singing French songs with them, watching French TV programs, etc. 3. Finally, if this is feasible, she then uses more and more French with them when alone, too, with the greater goal of becoming a “minority language at home” family where the language of communication among family members is (mostly) French and English continues to be acquired through school and the community. You see, Guillaume, the odds of success when both parents are using the minority language—when the majority language parent is using the minority language, too, as actively as possible—are much, much higher than when only one parent is using the minority language, and this is particularly true in situations like yours, where the minority language parent is not the main caregiver. In fact, research has shown (please see my video Important Research on Successfully Raising a Bilingual Child) that there’s a dramatic difference of around 60 percentage points, in the odds of success, between these two scenarios. 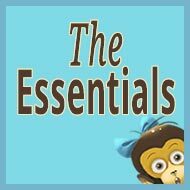 Finally, I invite you to join me and many other parents—a lot of whom can empathize with your frustration—at my friendly forum, The Bilingual Zoo (it’s free), for ongoing support and encouragement. We understand how important the bilingual aim is to you, Guillaume, and you need never feel alone as you move forward, to greater success and joy, on this journey. Thank you so much for taking the time to respond, Adam. My wife and I both read what you said and we started right away with the French when we are all together. My wife is actually really excited to actually practice more her French too! Win-win. Guillaume, you’re very welcome. And please let me know, as time goes by, how things are going. I’d love to hear happy news from you. Thanks a lot for the great post and interesting information in this blog. We are a multilingual family living in Sweden. My partner, German, and myself, Catalan, have an 18-month-old boy that understands both German and Catalan and has started to say words in both languages. At home we speak only Catalan and German when we are all together, so I speak Catalan to my partner and the kid and my partner answers me in German, we both understand each other languages. When the kid is not around we use mostly English as we met speaking English. Regarding Swedish, we are both fluent in Swedish and our kid will start the kindergarten next week in Swedish. Our main concern is how to react when our kid is talking to us using the wrong language, so saying a German word to me instead of the Catalan word. Should we force him to answer in the other language? Ignore what he is saying if he doesn’t say it right? We fear also that with the introduction of Swedish from the kindergarten that we will start speaking Swedish to us. Thanks for your comments and help, we appreciate it a lot. Nuria, first of all, congratulations to you and your partner on the early success you’re experiencing. It sounds to me like your good efforts will continue to generate happy progress in your growing multilingual boy. In fact, all I think you need to do is stay persistent about providing ample language exposure and maintaining your consistent use of the minority languages, while simply repeating any “wrong” responses in the “right” language for him to hear. I wouldn’t belabor your reaction, though, because I don’t think this issue will prove to be a lasting problem. Yes, emphasize the “right” language (and you can also try stressing the idea that “this is Mommy’s language” and “that is Daddy’s language”), but keep things light and playful and I suspect you’ll find that he will “outgrow” his use of the “wrong” language over the next year or so as he matures, his multilingual ability grows, and he comes to firmly link each language to the appropriate person or setting. I love reading these articles but sometimes they remind me how much I messed up at raising a bilingual child. While both me and Gabi’s dad are from Slovakia and used to speak Slovak together, the majority language for Gabi was definitely English because he spent on average 10-11 hours with our English childminder surrounded by English speaking kids. I struggled from day one with “enforcing” minority language at home as Gabi even as very little didn’t want to know. He refused speaking or even being spoken to in Slovak. At that time I thought never mind at least he will settle well at school as some of his Polish friends from neighbourhood barely spoke any English. It’s funny how far I was from the truth. Our kids are in year 2 and the Polish kids are fully bilingual while Gabi still doesn’t speak much Slovak. Initially I thought he understands everything, but no he doesn’t. Even though we have always spoken Slovak at home, Gabi doens’t understand that much. He is now 7 and tries to speak when he visits Slovakia but often gets frustrated when he can’t be understood. He is definitely more willing to learn and repeat words now than he was when little, but I wonder…is it too late already? Have I missed the chance to raise him as a bilingual child? And if there is still hope, what shall I do to help him? Natalia, I feel your frustration, but please know that there is always hope as long as you continue to hold your son’s bilingualism as a high priority and you keep up the best efforts that you’re able, day by day, over the months and years ahead. The truth is, your son is still quite young and can make steady and satisfying progress as you move forward. 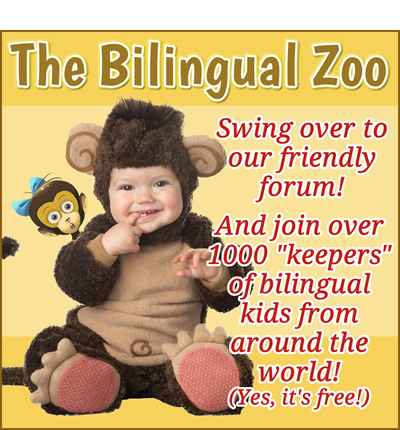 In addition, I also encourage you to join me and hundreds of other parents at my forum, The Bilingual Zoo. It’s a really warm, empathetic community and the best way to receive ongoing support, not only from me but from many other parents with experience and ideas. And remember, Natalia, there’s always a payoff to perseverance. Like many of the members at The Bilingual Zoo (see the Track Your Progress board, in particular), your mindful and proactive efforts can generate the sort of positive momentum, and happier results, that you seek. I hope to see you there, where I’ll continue to cheer on you and your family!